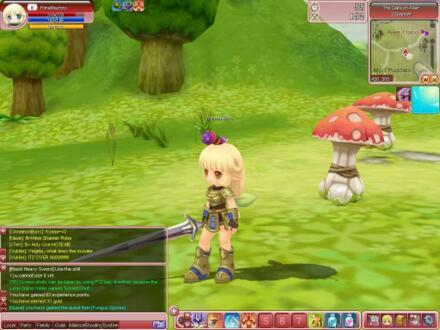 Luna Online is a cute free-to-play fantasy MMORPG that emphasizes user communities. Among the game's unique social features are the Match Making System, which helps players find the perfect match to play with, and the Family System, which lets players join up and operate a farm together. Other characteristics include flexible character development with jobs, superior graphics, cute character designs, and fast paced action. Luna Online features over 40 different Job classes and hundreds of unique skills, Luna Online offers players nearly limitless customization options, all designed to be effective when playing solo or with a group of friends. Powerful character customization tools and deep crafting options allows you to maximize your character's potential based on the choices you make and the friends you meet along the way. Join the armies of humans, elves, and dwarves as they band together to harness the power of the Goddess Luna and turn back the tide of evil demons threatening to destroy their world forever! Are you brave enough to face these challenges? You'll need to master Luna's 40 dynamic character classes and make new friends and allies to become Luna Online's next great hero! Featuring hundreds of quests, a robust farming system, and innovative matchmaking features (including date instances! ), Luna Online is a game like no other, giving you the chance to become a hero, make new friends, and maybe even find true love too!